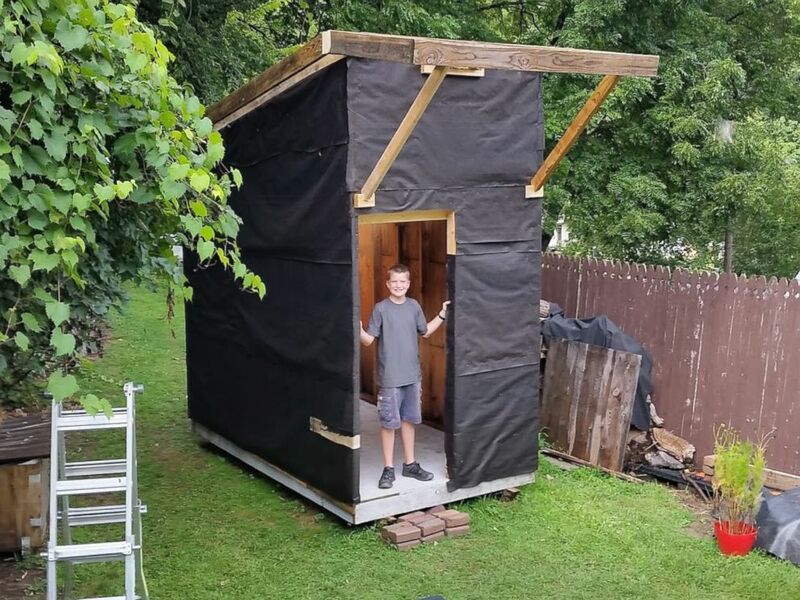 Luke Thill is an Iowa middle school student who spent the past year building his own home in his family’s backyard. 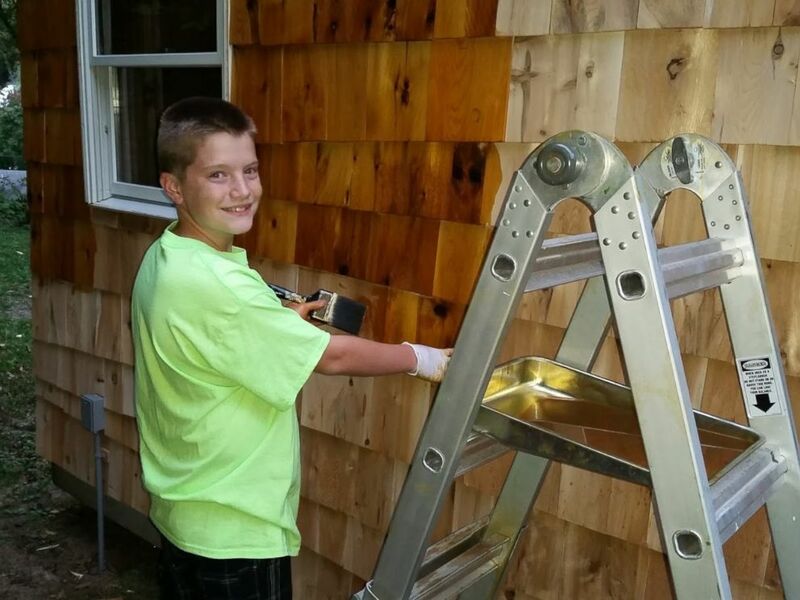 Luke, 13, raised $1,500 of his own money by mowing lawns and helping neighbors and friends in order to build his 89-square-foot tiny home. "I was just on YouTube looking around and came across a tiny house idea and then that spiraled into looking at almost every YouTube video there is, it felt like," Luke told ABC News. "I got obsessed with them and decided to build my own." Luke’s parents, Greg and Angie Thill, saw their son was on a mission and gave him the go-ahead to build a home on the family's four-acre property. 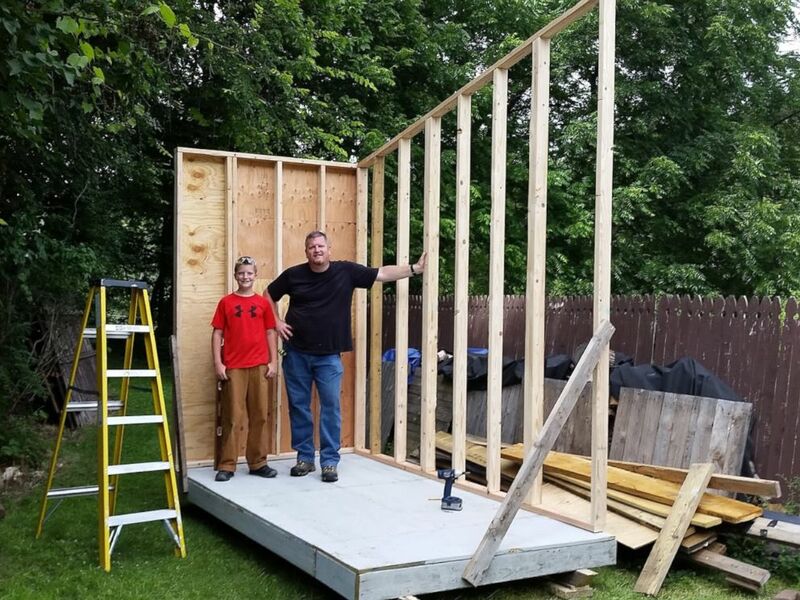 Luke Thill, 13, raised $1,500 and spent nearly one year constructing a tiny home in the backyard of his family's Dubuque, Iowa home. Luke began construction of the home in June 2016. He got help from his dad on the home's construction and his mom helped with the interior furnishings. Luke's sister and twin brother also helped and he learned how to barter his services with friends and family who donated reclaimed materials and their own skills. "I have a neighbor who is a professional electrician so I cleaned his garage out and he taught me how to wire the house," Luke said. "And in Cub Scouts I knew a guy who was a carpet layer and I mowed at his apartment buildings and he helped me install the carpet." The interior of the tiny home features a TV, seating area, mini refrigerator, and a fold-up dining room table. Luke says his friends think the house is "cool" and often stop by to hang out. “He’s a very driven kid for his age,” said Luke's dad. “There were times the project got stalled out and he had to earn more money for the next phase. He wouldn't let it go and kept working at it." Luke was invited to speak at a tiny home conference this month in Iowa. He also documented the construction process on YouTube, where he hopes to inspire other kids to follow to not let their age stop their dreams. "I couldn't find anyone younger than 14," Luke said of when he first watched tiny home construction videos. "I thought if no one is out there, I might as well do it so I started documenting the whole process and putting it on YouTube." He continued, "Now lots of kids have messaged me and showed pictures of their tiny houses that they're building and they're even younger than me." Luke's next project is helping his brother, Cole, build a teardrop trailer. Then he plans to return to where he started and build another house. "In a couple of years I want to build a bigger house and stay in it full-time," he said.